Walter Edwin Drumheller was born on November 9th, 1878, in Sunbury, Pennsylvania, to one of the most prominent hotel families in the central part of the state. He entered Mercersburg Academy and enrolled afterward at Jefferson Medical School. Before attending any classes there, however, he became enthusiastic about track and transferred to the University of Pennsylvania to run under coach Mike Murphy. As a member of Penn’s track teams of 1899 and 1900, Drumheller became known as one of the top quarter and half-milers in the University’s track history. He was a member of the 1900 U.S. Track Team at the Paris Olympics but failed to earn a medal. It was hoped that Drumheller would win the 1901 intercollegiate championship in the half-mile run, but he was knocked out of competition by diphtheria. After graduating from Penn in 1902 with a D.D.S., Drumheller pursued a career as a dentist in Berwick, Pennsylvania, but practiced for only a few years before entering into the hotel business with his father. 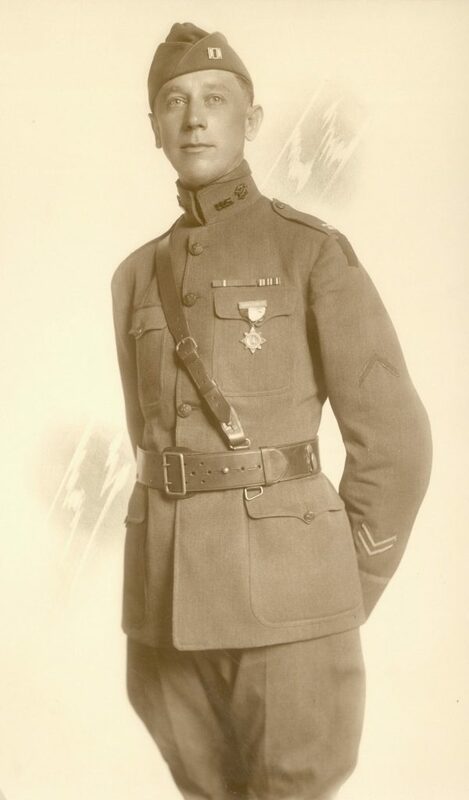 During World War I, he entered the Army and served with the 28th Division; when the war ended he helped organize the Sunbury American Legion Post and was its first commander. A few years later, Drumheller was elected as the first mayor of Sunbury. During his tenure, he donated all of his salary to charity. He was one of the most popular and recognizable figures in Sunbury before dying at the city’s community hospital on May 19th, 1958, at the age of seventy-nine.